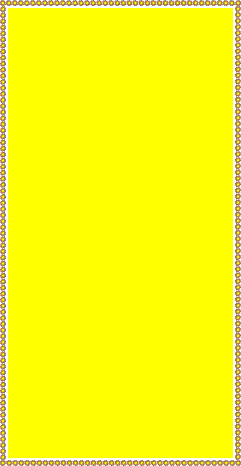 TWO to THREE seasons use. Is it....Mini red tennis balls,Mini tennis red balls, OR Red mini tennis balls? and tenis balle are keywords for people looking for balls for mini tennis. 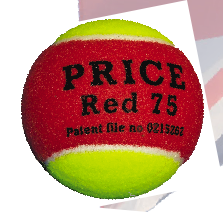 We suggest you buy the Patented PRICE Red 75.. Developed by us for the Lawn Tennis Association . 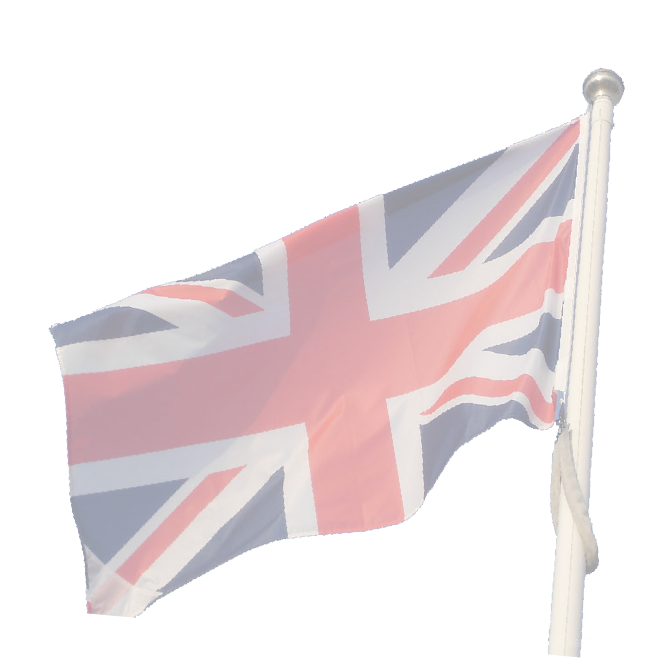 Without a licence from us all others are poor imitations. 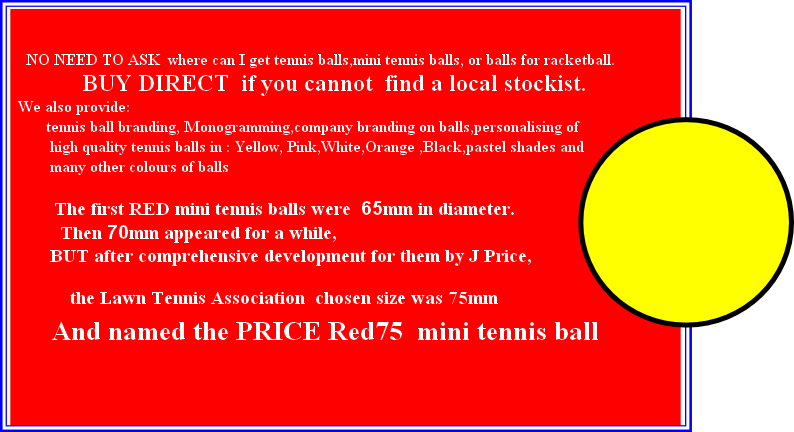 Balls for MINI TENNIS, also known as... Short tennis ......Compact tennis.....Play & Stay....junior tennis. 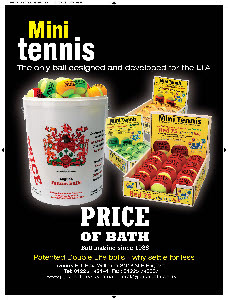 by having minitennis balls personalised with your name or message. What kind of ball to buy to start a child off in tennis? For the very young and young children a lighter, slower ball, is recommended and used so they have the fun as well as learning to hit the ball. 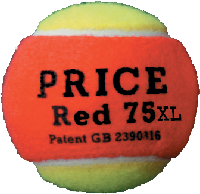 The durable RED 75 was designed and developed for the LTA for just this purpose. As they progress they change to a smaller ball,softer and lighter than a regular ball and with a slow bounce, so they continue to gain confidence and enjoy the learning. 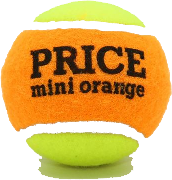 The Price mini orange was also developed for this. 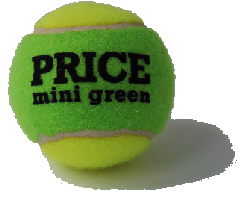 With increasing skill, confidence and strength, the next move is to an intermediate ball, which is the same size and weight as a regular tennis ball, but softer and slower and a little lower in bounce.The PRICE mini green was designed for this. As they continue to develop skill and strength there comes a point when it is time for the move to regular balls. Of course children learn at different speeds. 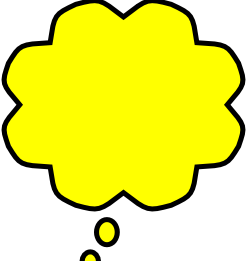 Undecided? click here for more options on our new BALL website.